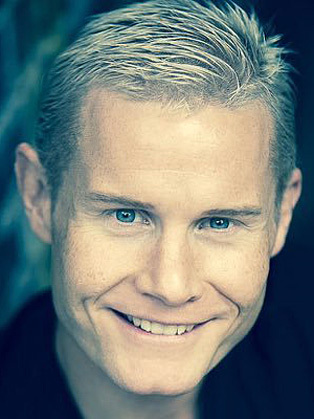 Rhydian is a classically trained baritone who has become one of the UK’s most successful classical crossover artists. A double platinum selling recording artist, who was nominated for a Classical Brit award and has had several sell-out solo tours, he has also appeared in acclaimed touring musical theatre productions including ‘We Will Rock You’ and ‘Jesus Christ Superstar’ and has duetted with some of the world’s great singers including Bryn Terfel, Dame Kiri Te Kanawa and Idina Menzel. Rhydian’s position as a world class singer of classical crossover repertoire. In the autumn of 2014, Rhydian completed his third solo tour across major UK cities, showcasing his latest album, and ended the year by landing the role of the Beast in 'Beauty & the Beast' at the Theatre Royal, Windsor. He starred alongside Sheila Ferguson of the Three Degrees and TV legend Basil Brush! 2015 began with Rhydian starring as Pontius Pilate in the touring musical, Jesus Christ Superstar, where he earned rave reviews. His sixth studio album ‘Carry the Fire’ was inspired by his love of rugby and the approaching Rugby World Cup, played in England and Wales in 2015. It features much loved rugby anthems from all of the Home Nations plus two rousing original songs, co-written by Rhydian, ‘Come On Ye Faithful’ and ‘Take Me Home’. In December 2015 Rhydian starred as Prince Charming in the Rhyl Pavilion pantomime ‘Cinderella’ and then took on the role of the sadistic dentist, Orin Scrivello, in the touring production of Little Shop of Horrors. The show was a great success and Rhydian's portrayal was very well recived by press and audiences alike. Christmas 2016 saw him reprise his role as Prince Charming, this time at Bournemouth Pavilion.